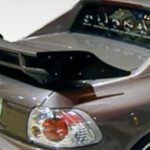 I’ve been looking for a guide on how to do a power mirror conversion. Unfortunately, I wasn’t able to find one…at least, one for the Focus. So, I figured that when I was ready to take the plunge, I’d document the steps I took in order to do this conversion. 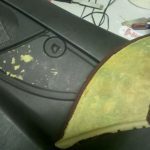 Part one: Materials, hardware, and tools – oh my! T20 Torx screwdriver (For some reason, the passenger side mirror I pulled had this screw in the lower left corner. The other one didn’t. or 8: 2 along the outer edge of the door (by the door latch), 2 along the inner edge (by the door hinge) and 3-4 along the bottom. 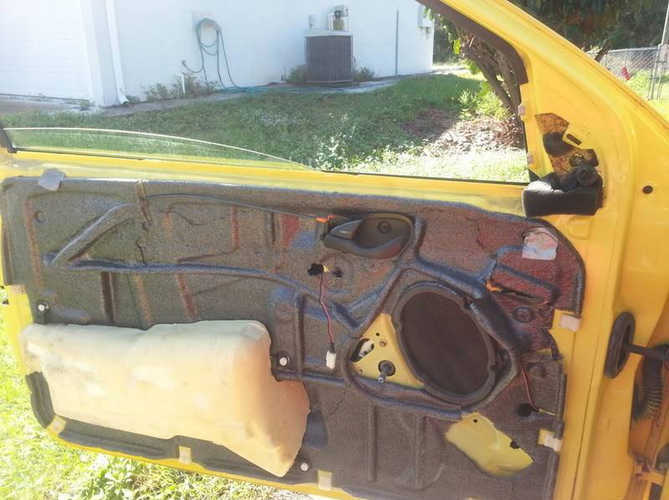 Once that’s done, using a butter knife, go ahead and pop out the door handle cover. You should see two bronze/gold colored bolts – one at the top of the handle, and one at the bottom of the handle. Use the 7mm socket on the screwdriver thing (a normal sized ratchet/extension wont fit in the hole, it’s kinda small) and remove those two bolts. Once that’s taken care of, the panel will come off if you lift up & away at a 45 degree angle. 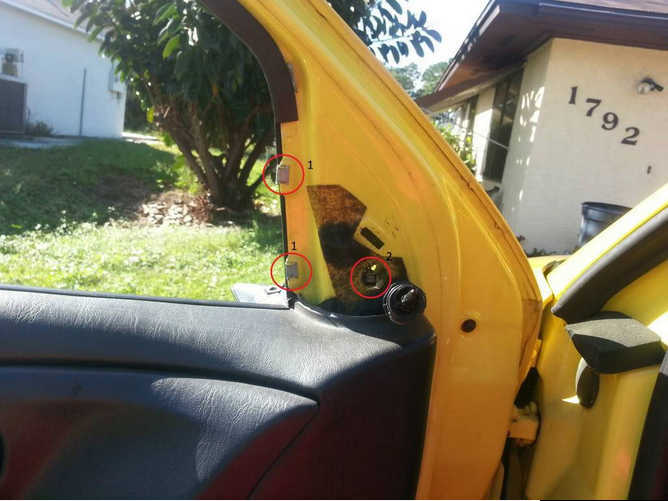 If it doesn’t come off easily, double & triple check to make sure you didn’t miss a bolt (door handle) or screw (along the edge of the door panel). Once the mirror is bolted/screwed down, you can go ahead and re-clip the bezel into the corner. But, before you do that, go ahead and plug in the black clip into the back of the switch – it’s keyed, so it’ll only fit one way. After that, go ahead and plug the mirror connector into the mirror, then tuck the wires leading into the connector (to the mirror) into the bezel, then clip it into place. 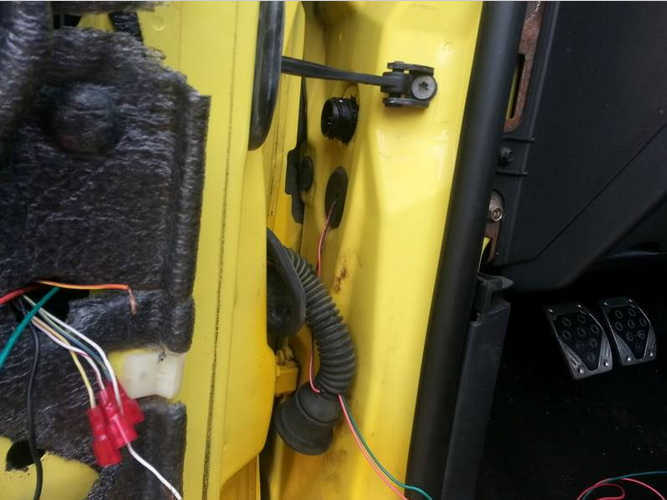 At this point, I extended the yellow/violet, blue/yellow, and white/red wires, and ran them under my dash to connect to the pig tail on the other side. 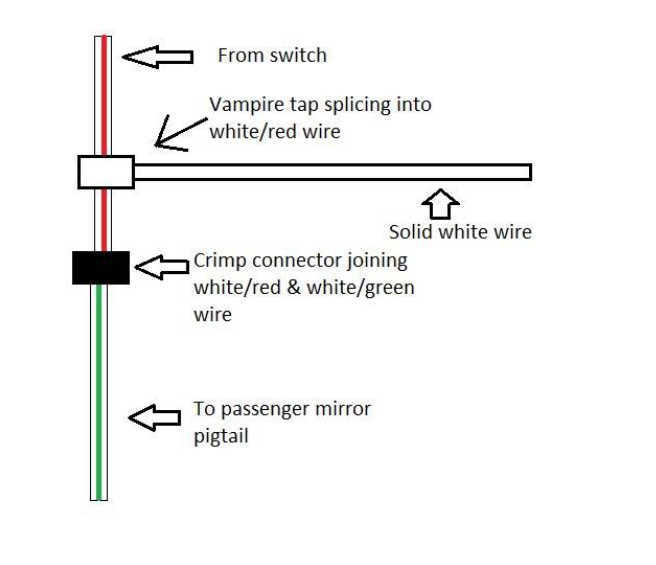 On the drivers side door, you’re going to have to use the crimp connector to connect the white/red wire, to the white/red extension (which will go to the white/green wire on the passenger side), and then, use a vampire tap on the white/red wire and splice in the solid white wire. The way I did it, was I extended the wires first, then ran them through the rubber boots that connected my speakers to my stereo (I did NOT splice INTO the speaker wires, I just used the protection of the rubber hose that was there) Then, I snaked it to the rubber grommet below it, to bring the extended wires into the cabin. Once they were in the cabin, I ran them under the dash, behind the stereo (and glove box). 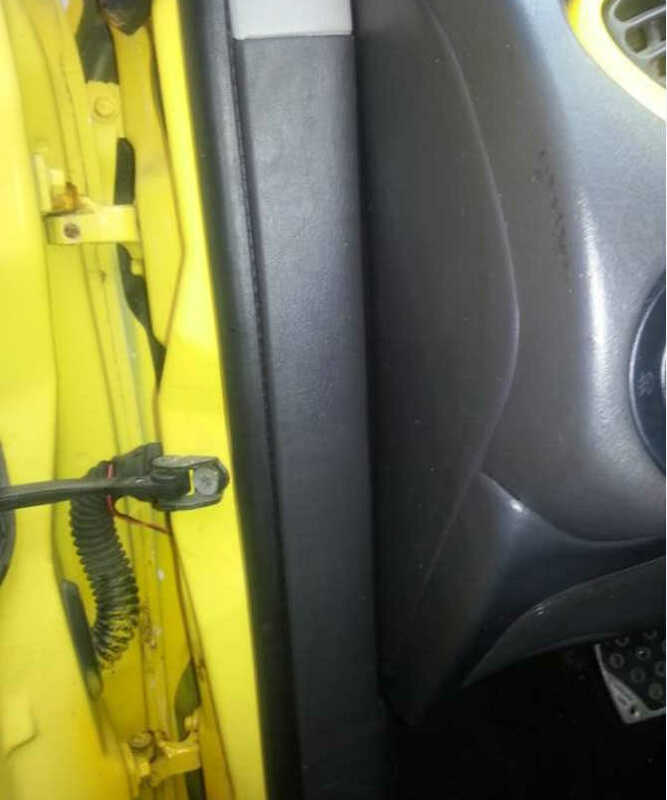 Once I reached the passenger side, I ran it through the way I did on the driver side (rubber grommet, then the rubber hose, and into the door) then used the crimp connectors to connect to the pigtail. On the driver side floor well, there’s a panel on the left side. (Below the fuse panel). 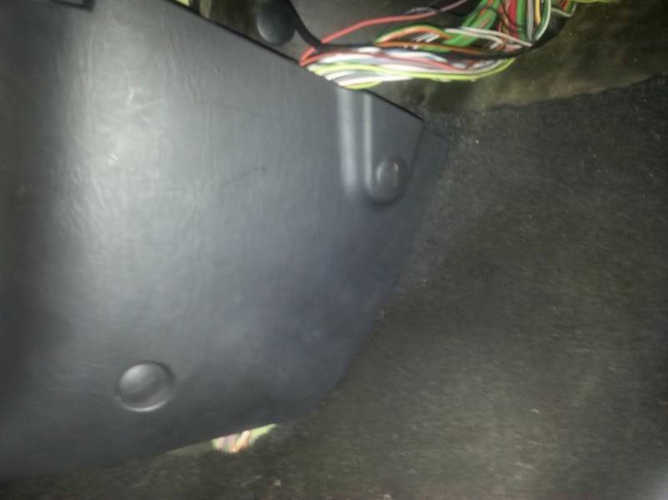 There are two large plastic screws &a tab holding it into place. Next, remove the vertical trim piece, which will help expose the grounding bolt you will use to ground your wiring, and tap into the power supply. 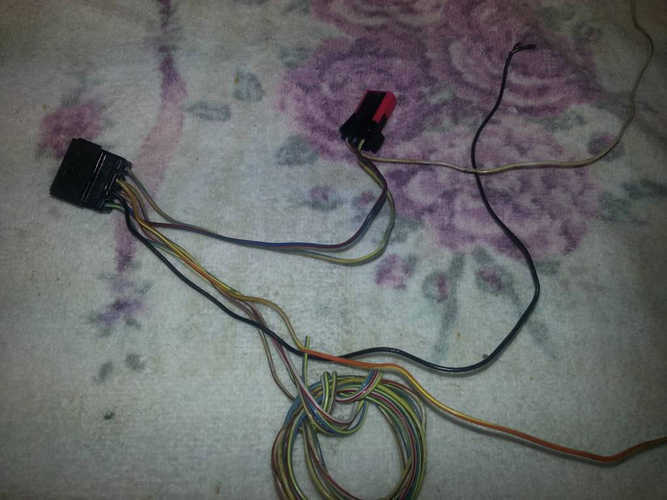 Now, on the drivers side pigtail, look for the orange/yellow (orange wire, yellow stripe). You’re going to need to extend the orange/yellow wire so you can use a vampire tap to splice into that orange/blue wire. 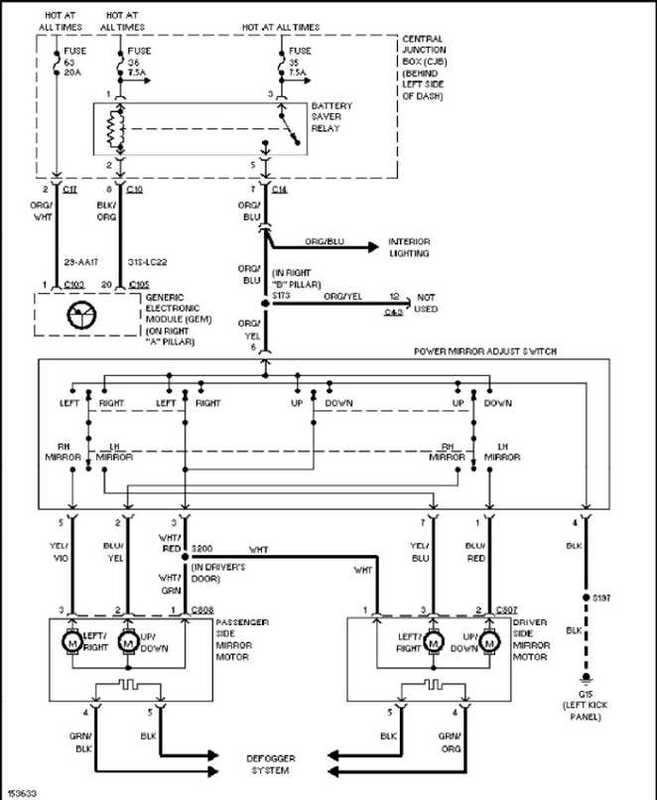 Now, according to the schematic, the orange/blue wire will be constantly hot (have power). 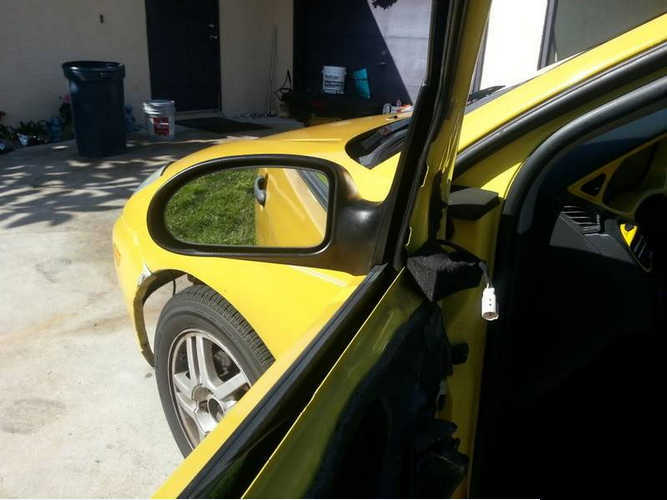 You shouldn’t have to turn the ignition on in order to use the mirrors. If everything works like it should, go ahead and button up your doors, and you’ll be good to go! 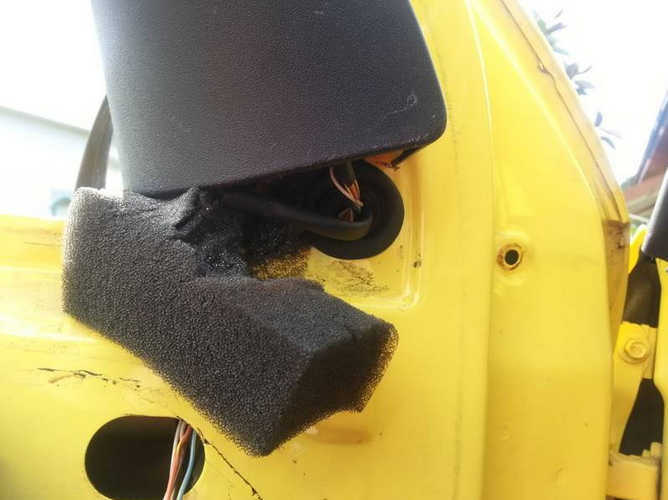 If your driver side mirror doesn’t go up/down, check the blue/red wire/connection. good connection. If that fails, check fuse #35 in your fuse panel (it’s the fuse for the interior lights – if you look at the schematic, you’ll see that that wire branches off into the interior lighting) If the fuse checks out fine, then go through your connections. 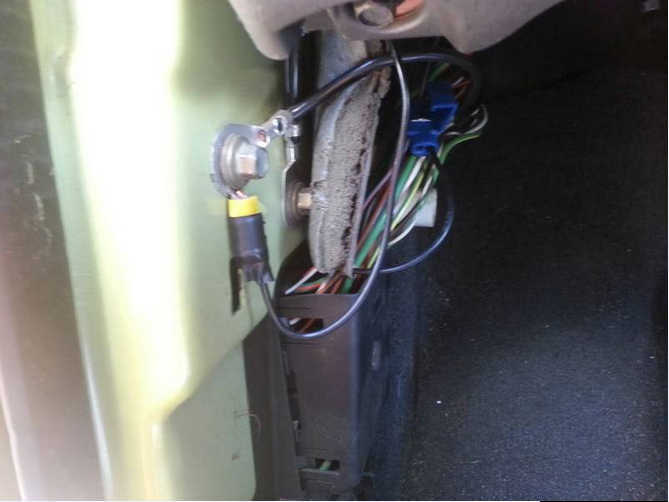 It’s possible that theres a bad connection, bad wire, bad switch, or heck, even a bad mirror. Q. Hey… wait. I have two/four extra wires that aren’t connected! What gives? A. 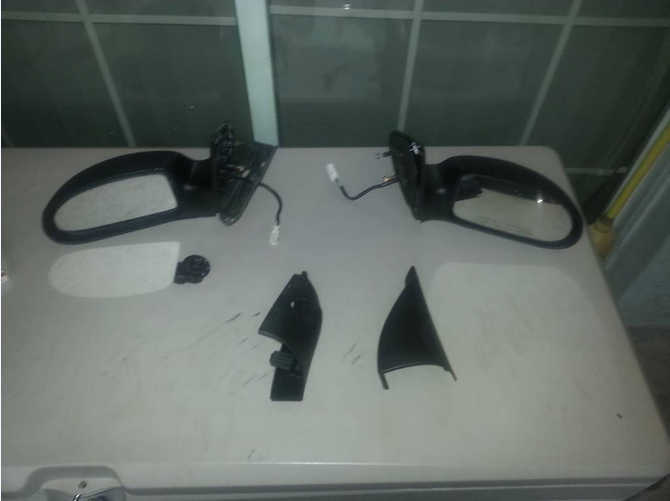 Depending on the color (Green/black, Green/orange, and 2 black) It seems that you bought/salvaged power mirrors that have the built in heater/de-fogger. The mirrors I salvaged from the junkyard didn’t have the built in heaters/de-foggers.